Learn how to edit the Family Photo Memories 4images theme, by taking a look at its new video tutorial dedicated to showing you how to easily edit the theme’s CSS file. We have shot a comprehensive video tutorial about the Wedding Album 4images theme, taking you through the basic layout customization options it supports. See how to edit the theme’s CSS file in a few clicks. 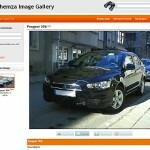 A new Photo Box 4images video tutorial has been published on the Themza site to walk you through the basic layout customization steps supported by the theme. The Photo Community 4images theme now has its own edit-CSS video tutorial added to its presentation page. See how to edit the theme’s layout by editing its CSS file through your 4images Admin Panel. We are glad to announce the release of the Travel Photography 4images theme. The theme supports a 2-column layout and comes equipped with a video, displaying the basic steps for managing the theme’s layout to your personal preferences. We are planning to release a 4images theme for travelers with a camera in hand, named Travel Photography. Take a look at the quick video trailer, presenting the theme’s layout and supported functionalities.